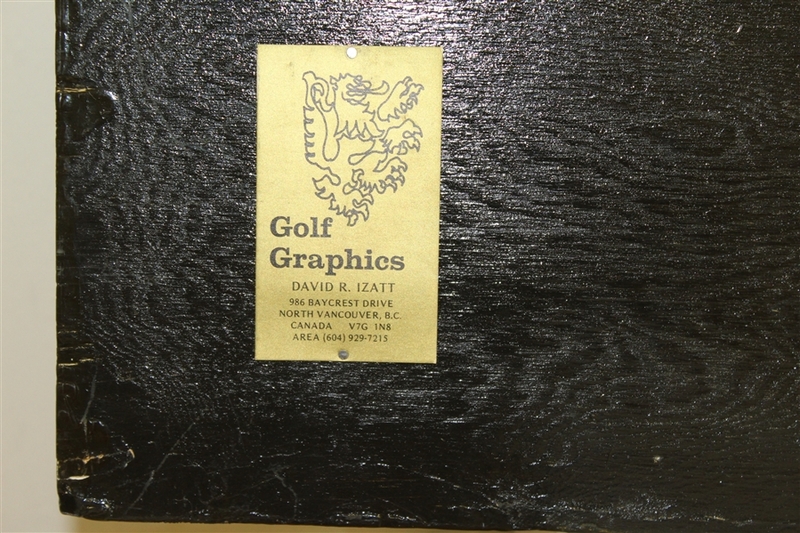 Here we have a 1979 PGA Championship commemorative board gifted by the artist James Paterson Izatt commemorating David Graham's win at Oakland Hills. 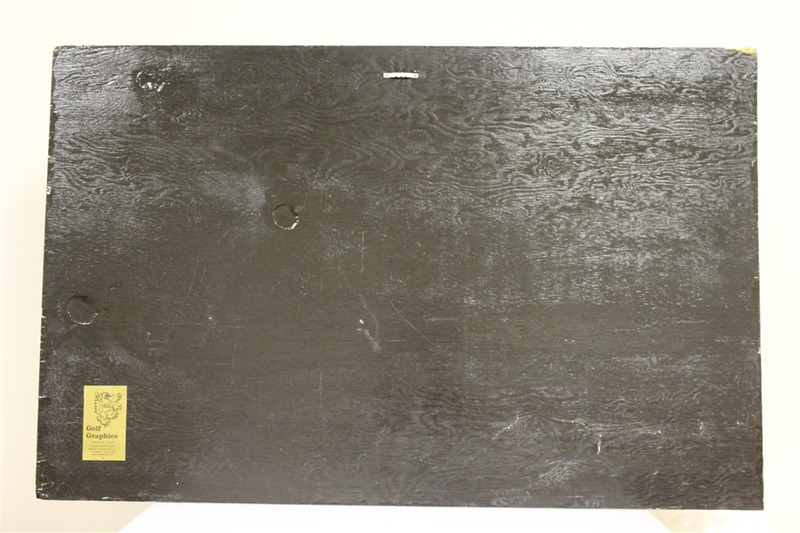 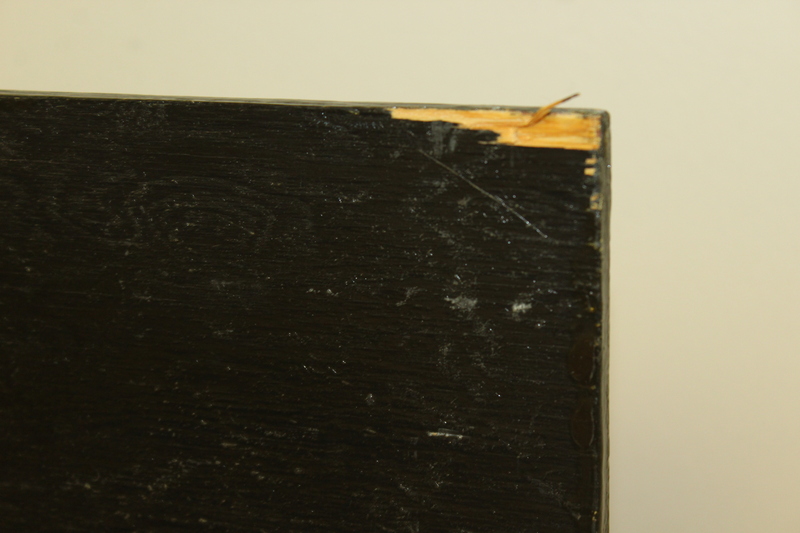 The board measures 22" x 34 3/8" and shows crazing throughout and there is a chip to the back top right corner, please refer to photographs. 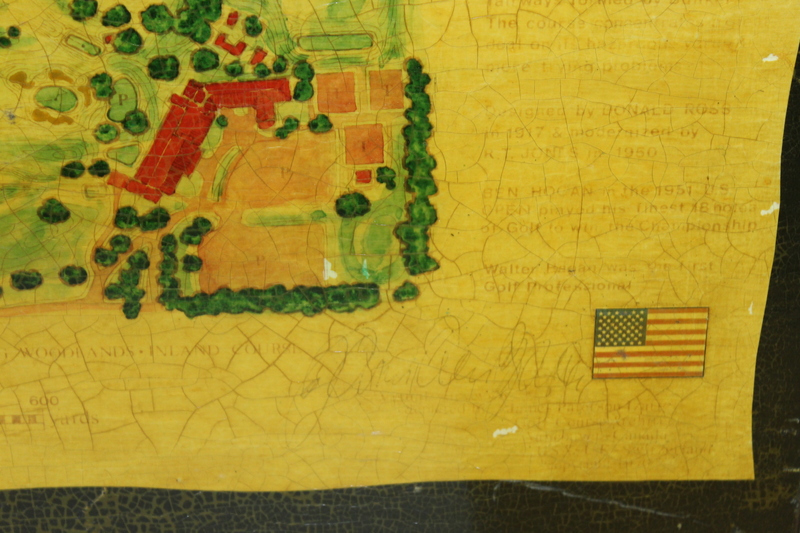 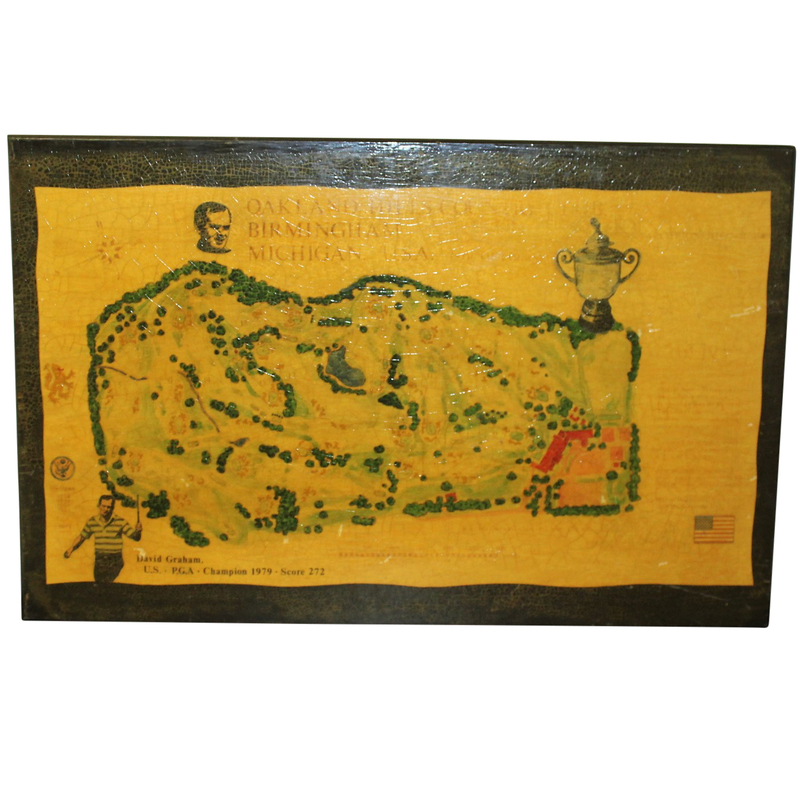 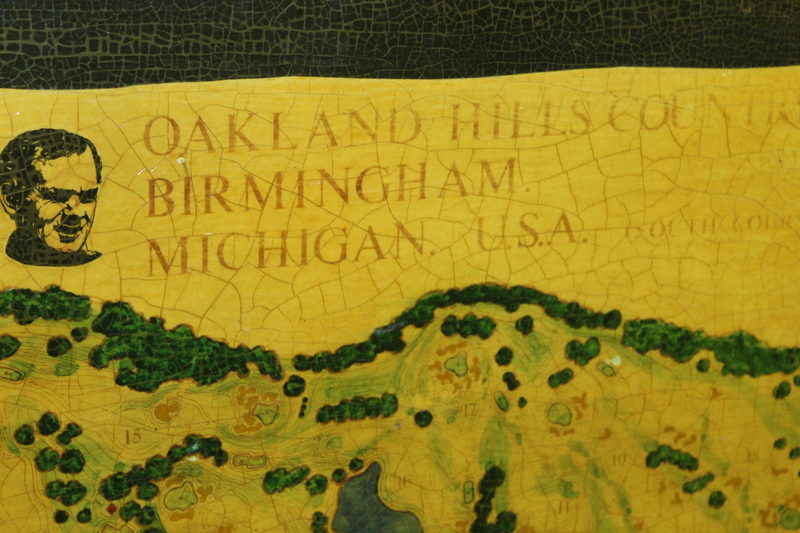 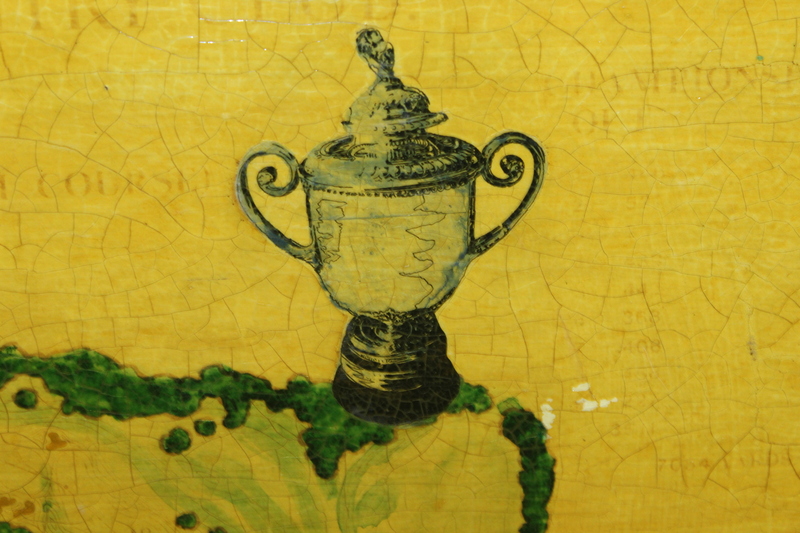 The board shows the course layout of Oakland Hills as well as the Wanamaker Trophy and likenesses of the champion Graham. 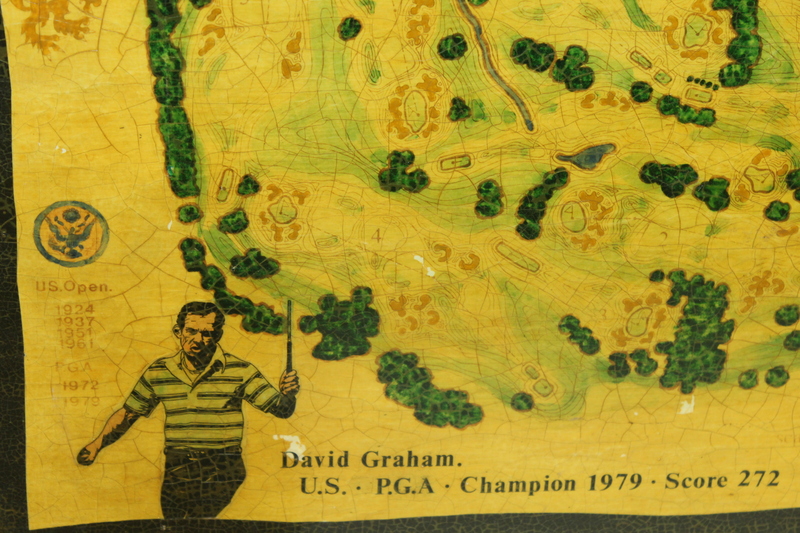 David Graham had to earn his first Major championship, defeating Ben Crenshaw on the third hole of a sudden-death playoff, after his double-bogey on the 72nd hole forced the playoff.